We are proud to be affiliated with the best caterers that Los Angeles has to offer. The Wedding of Your Dreams Is the One You’ll Have! 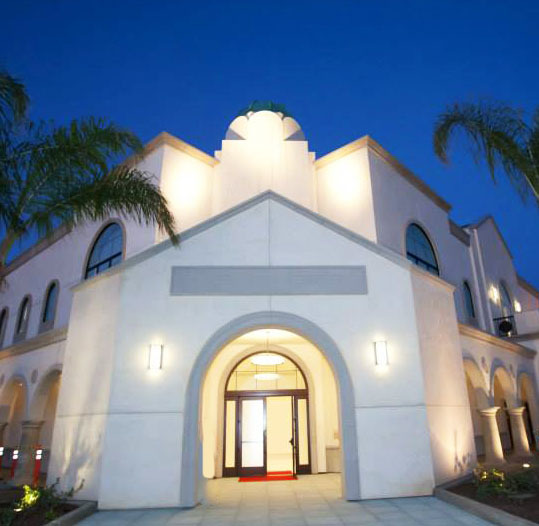 The Huffington Center at Saint Sophia Cathedral is a new state of the art event venue located in the heart of Los Angeles in the Byzantine-Latino Quarter. A non-profit entity, the Huffington Center was made possible by the generous donations of several key donors including Michael Huffington, the Maniatakos Family, Tom and Rita Hanks, Jim Gianopulos, as well as hundreds of other donors in the Saint Sophia Community. If you’re looking to host your next event or meeting in Los Angeles, the Huffington Center at Saint Sophia Cathedral has everything you need. It’s Byzantine design, timeless décor and state of the art amenities are unmatched in the downtown Los Angeles area. We have carefully chosen preferred caterers that provide full-service catering and specialize in event production.